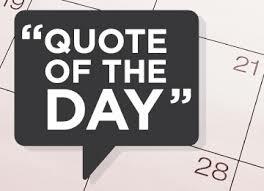 "The stock market is a device for transferring money from the impatient to the patient " by Warren Buffet . I have done less transaction in 1st Qtr 2019 vs 1st Qtr 2018 although market has gone up much from the low recorded in end of last year In line other with world stocks market , STI also performed well in 1st Qtr ,up by +8.02% to 3315 as of writing and my portfolio managed to outperformed market by few % points with ROI of +12% YTD, mainly due to better performance from REITs. "In the 2019 year-to-date, the 20 best-performing S-REITs – which have a combined market capitalisation of more than S$60 billion – have averaged a total return of 15.7%. This brings their one-year, three-year and five-year total returns to 10.6%, 37.9%, and 51.7% respectively." Back to my transaction cost , as market is not really that cheap and moving along regression line couple with worry about "inverted yield curve " which I have blogged about it ( here ). I simply don't have crystal ball to tell what will happen to market next and will there be a " recession " due to this so called inverted yield curve is anybody's guess. But since I am more than 80% vested , I am going to just increase my war-chest from whatever dividend I receive in next few quarters. It has been quite sometime I didn't update the regression line for world stock markets . ** HSI performed much better than STI in 1st Qtr 2019 with increased of close to 18% while STI only up by around 8% from the low in Nov 2018. US market seems having "V" shape of recovery e.g NASDAQ just 3% away from the peak it achieved in Sep 2018 and upped by 18.2% from it low in end 2018. ** Other European market also doing well with more optimistic in believing that US and China may end the "trade war " , also more "dovish" stand from FED in rising interest rate, some even anticipating "rate cut" in second half of 2019. But watch out ! Could a "No-deal" or chaotic Brexit turn out to be another "black swan" event ? 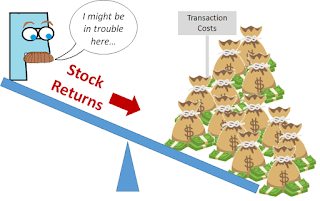 Time flies , 1st quarter 2019 just passed in the blink of an eye , I am sure most of us have good return on your investment as STI has achieved +4.9% returns YTD. My portfolio managed to outperform STI with returns of 9.7% YTD , thanks to most of the REITs and some other counters like Global Investment and Comfort DelGro. Sometimes my friends or even relative just wonder how I could survive without working or having “active income” for the past 4 years. 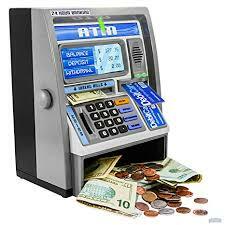 I told them that I have my own “ATM Machine “that will generate a consistent cash flow , quarter by quarter , or course sometime I can withdraw more money from this ATM and sometimes less. It has consistently giving me the cash without fail even during GFC ( Global Financial Crisis), it just a matter of given out more or less. Yes, it is dividend pay- out from my shareholding which I’m depending on since 2016 to pay for my monthly expenses and holidays. Of course I’m not saying is easy to build this ATM Machine, it take long time ( very long ,almost 20 years for me ) with hard work and saving , investing and reinvesting on the dividend received…taking advantage of the power of “compounding effect“ as well as spend within your mean ( try to avoid “Lifestyle Inflation“ ). OMG !! The Yield Curve Just Inverted ! Sell or Not Sell ? This is probably one of the hottest topics where you can see and read from all over the business news headlines in last two weeks. 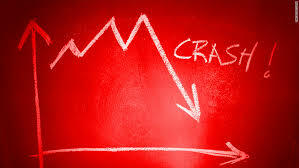 What is “ Inverted Yield Curve “ and why is it so important that draw so much attention from financial strategist / economist/ investors / fund managers all over the world. Discussing, pondering and arguing about the impact and direction of economy due to this so called “ Inverted Yield Curve” , relentlessly. HYFLUX Scheme Of Arrangement (SOA) : Yes or No ? **Disclaimer : I am vested with $127,000 in Hyflux 6% CPS, my views and opinions expressed here might be biased to some extent , please do your own due diligence when acting or using the info as presented below. 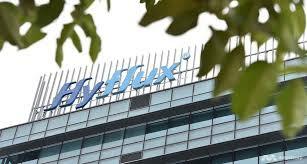 Finally, Hyflux unveiled the so called Scheme of Arrangement under the court protection restructuring plan on 16 Feb which affecting more than 34,000 (mostly retail investors) registered holders. 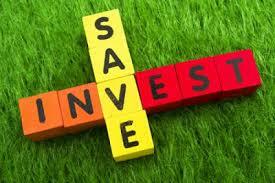 Share Buy-Back By REITs : Does It Make Sense ? If you may notice , I think K-Reit is the only REIT that is actively buying back its own share among all REITs listed on SGX. 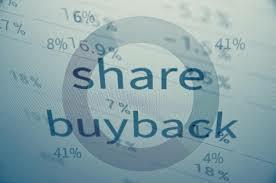 I fully understand the benefit of “share buy-back “ as it has been carried out by many companies who see the value of their share when the price might be temporary plummeted due to market condition or caused by certain bad news. YES !! 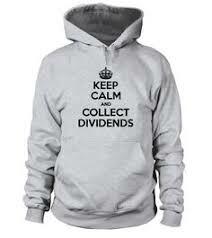 Is time to calculate and tabulate my dividend & interest income for 3rd Qtr 2018 ( $$$ to be collected in month of Jul to Sep). I am happy to see some other bloggers have started to show how much dividend they will be collecting, it’s really encouraging to see some had seen their dividend amount increased much on Y.o.Y basis and I’m not sure if this is also kind of “Nudge “linkas what Uncle CW8888 mentioned that this (by showing our dividend amount from fellow bloggers) could act as “nudge” for others / readers to save and invest in the long run. My last post on “ 3rd Qtr 2018 :Dividend and Portfolio Update” draw much attention as how we would be able to accumulate $1.5 mil of dividend without support from family and purely by ourselves. Some readers sent me e-mail asking how we did that and some with complement and kind words, which I really appreciate. With this short supplemental notes , I hope to provide a more “balance and holistic” view on how we would be able to achieve what we have today and what were the sacrifice we made or need to be done in order not to give wrong impression to readers that it is easy to achieve this. Market has been in a much more volatile situation in 2018 as compare to 2017 and the latest political & economic issues face by Italy is making the market looks more risky. Italy has been a problematic state among EU countries for many years. It ranks among the countries with the largest debt—around 2.3 trillion euros—and has been facing a double-digit unemployment rate since 2012. Growing tension in Korean Peninsula and potential trade war between US – China and US – Europe , no doubt has contributed to recent market volatility. Do some months have significantly different stock market returns than others? I am not so sure, but many investors belief that October will be the bad month for stock markets and January will be better with higher than average return. 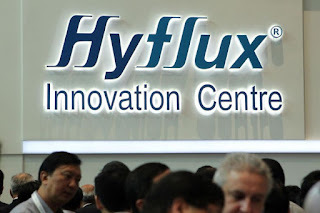 In last’s week’s Town-Hall meeting, in a distressed and disappointed mood, Hyflux"s CEO said that “ it was ironic that she built Hyflux and made it a success business story started from Singapore and yet fail because of Singapore’s project ( Tuaspring Integrated Water & Power Project -Link). The Town-hall meeting was attended by almost 600-700 retail investors ( mostly retirees), with one reported to have invested more than $250,000 in 4.25% Perps Bond and also 200 plus MTN holders in early session. Best. Mar……….. You Know The Drill!